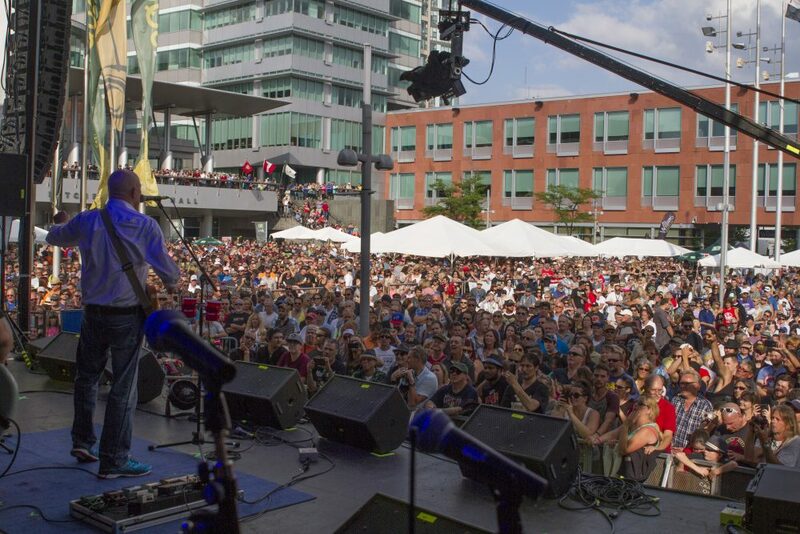 Each year in August, Waterloo Region plays host to one of Canada’s largest blues festivals. This event falls on the weekend following the Civic Holiday, and has been since its beginning in 2000. 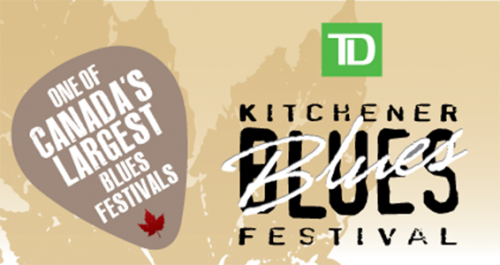 The TD Kitchener Blues Festival is a four-day family-friendly event, packed with some of the best blues talent. Check out this year’s fantastic line up here. Past performers include names such as The Sheepdogs, The Box, Delta Moon, and many more. The festival kicks off each year with a ticketed fundraiser concert on the Thursday. This year features Grammy award winner Jonny Lang with special guests Rik Emmett and Resolution 9. The 2018 Mel Brown award will be presented to Holger Petersen that evening as well. After that, festival-goers can enjoy everything that this festival has to offer for free! Each festival day has performances at three different locations, so visitors can choose where they want to take in the music. The festival features stages located around Kitchener, including the main stage at City Hall, the Downtown Kitchener BIA tent, the OLG Clock Tower Stage at Victoria Park, and even a Children’s Stage. Kids will stay entertained with the educational performances that explain the origins of music, which allows them to appreciate this event just as much as blues fans and music lovers do. All seating is first come, first serve, so be sure to arrive early and bring along your own lawn chairs. Staying for the entire weekend? Between sets, stroll through downtown to find many unique dining and shopping options. There are also many accommodation options close by, including The Crowne Plaza Kitchener Waterloo and Delta Waterloo. The TD Kitchener Blues Festival is made possible by the numerous sponsors and over 400 tireless volunteers. To support and sustain this free, non-profit event, consider attending the kick-off event or make a donation at the booths located in the event areas. An ideal venue for home shows, trade shows and special events. The facility offers an expansive lobby on two levels, two NHL sized arenas/ice surfaces, an aquatic centre, a community centre with a well equipped kitchen and four meeting rooms. The Fashion History Museum is located in a former post office in Hespeler. The collection spans from the 1660s to the present day with almost 10,000 items. THEMUSEUM is a new kind of museum – one of ideas and experiences. No dusty objects, no collections, and no velvet ropes. It is dedicated to presenting fresh, relevant cultural content from around the globe in unique and interactive ways that intersect art, science, culture and technology.